Shop Fender Bassbreaker 212 2x12 Guitar Speaker Cabinet from AMS with 0% Interest Payment Plans and Free Shipping. Engineered to perfectly match and enhance Bassbreaker combos and heads, the 212 speaker cabinet offers a rich, resonant voicing and low-end thump, with pro level performance for today’s rock players. 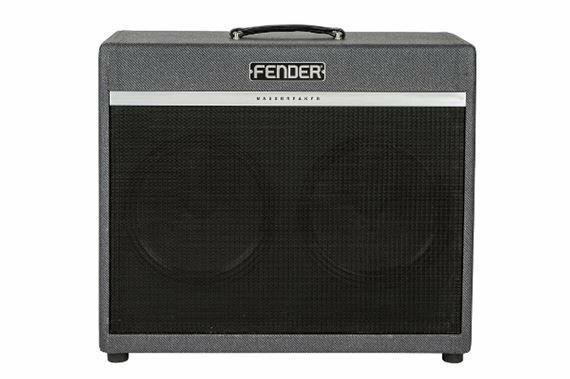 Bassbreaker series guitar amplifiers continue Fender’s storied lineage with a kind of parallel evolution that evokes the dawn of hard rock. Bassbreaker takes the original Bassman design and breaks away with features including dark gray lacquered tweed covering, refined pointer knobs and unique circuitry plus power tubes and speakers hinting at the U.K. amps that “borrowed” Fender circuits in the 1960s. The sound is one of pure tube greatness.